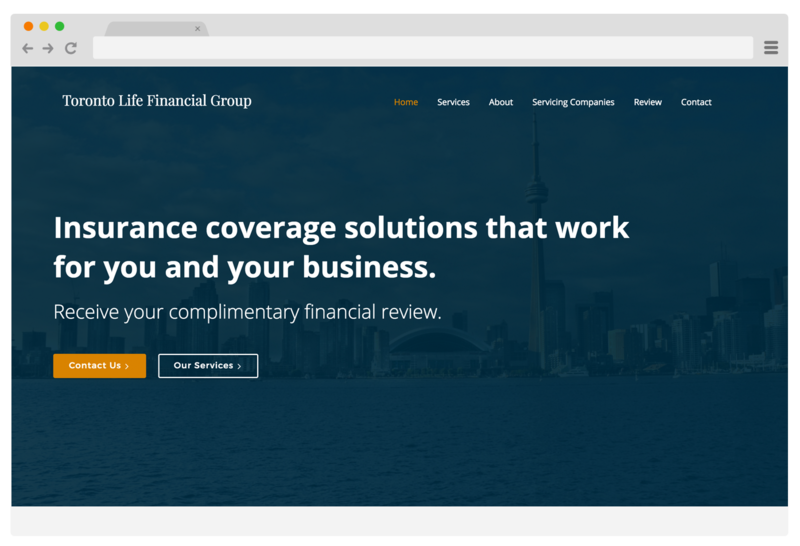 Toronto Life Financial Group is a trusted insurance broker with over 30 years of experience. Their web presence, however, was very dated and did not match the confidence and integrity of the company as a whole. We delivered a modern, clean and current design that elegantly displayed their service and program details. In addition, the site includes an appealing submission form for new leads requesting a financial review.